The GX-351™ is a passive radar interface unit that accepts a variety of navigation radar inputs and provides a scan-converted digital radar image of the radar inputs to a network and includes a tracking capability. This system facilitates data sharing with agencies outside the primary role of the radar site without impacting the key mission of the existing system. 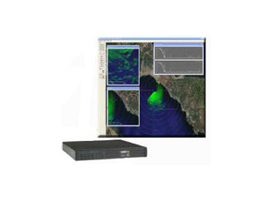 This system utilizes an Ethernet network connection to the U.S. Coast Guard Command and Control System. The GX-351™ features a compact 1U form-factor and a rugged design that makes it ideal for a variety of harsh environments.